MIDLAND CLEANING SERVICES (UK) LIMITED understands that your privacy is important to you and that you care about how your personal data is used. we respect and value the privacy of everyone who visits this website, www.mcsfranchise.co.uk ("Our Site") and as described in Parts 5 and 6, below, we do not collect personal data about you unless you contact us. Any personal data we do collect will only be used as permitted by law. 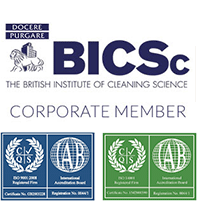 Our Site is owned and operated by MIDLAND CLEANING SERVICES (UK) LIMITED, a limited company, registered in England under company number 07281980. The materials in this site and the third-party sites are provided "as is" and without warranties of any kind either express or implied. To the fullest extent, mcsfranchise.co.uk disclaims all warranties, express or implied, including, but not limited to, implied warranties of merchantability and fitness for a particular purpose. mcsfranchise.co.uk does not warrant that the functions contained in the materials will be uninterrupted or error-free, that defects will be corrected, or that this site or the server that makes it available, are free of viruses or other harmful components. mcsfranchise.co.uk does not warrant or make any representations regarding the use or the results of the use of the materials in this site or in third-party sites in terms of their correctness, accuracy, timeliness, reliability, or otherwise. Through this website you are able to link to other websites which are not under the control of mcsfranchise.co.uk. We have no control over the nature, content and availability of those sites. The inclusion of any links does not necessarily imply a recommendation or endorse the views expressed within them. Every effort is made to keep the website up and running smoothly. However, mcsfranchise.co.uk takes no responsibility for, and will not be liable for, the website being temporarily unavailable due to technical issues beyond our control.